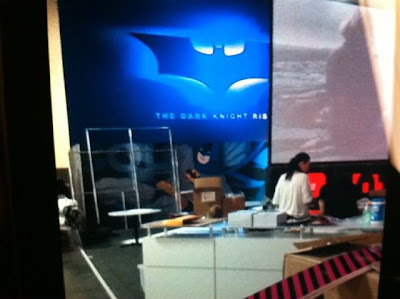 Unveiled "THE DARK KNIGHT RISES" First Official Promotional images Reveal Batman! The Licensing International Expo is currently prepping in Las Vegas and does not officially open until tomorrow morning. Some early promotional images have already been leaking out both in the pages of the official License Global magazine and from the floor itself. Hit the jump to check out the first official promotional images from Christopher Nolan's The Dark Knight Rises. 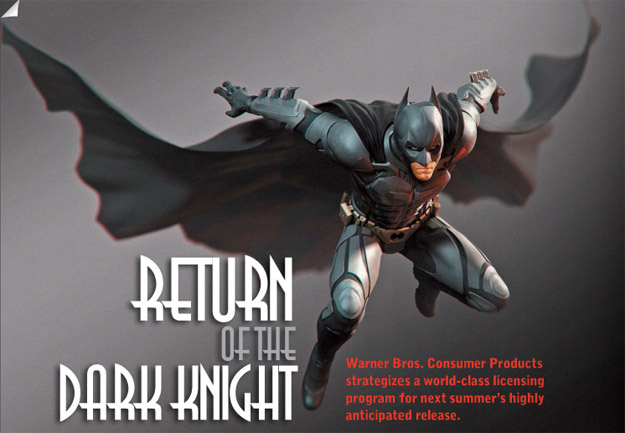 I'm reading: Unveiled "THE DARK KNIGHT RISES" First Official Promotional images Reveal Batman!Tweet this!